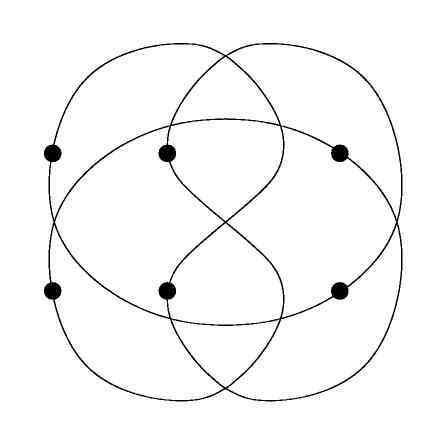 This drawing shows a few lines connecting a few points such that each two lines intersect each other exactly once - when one counts common endpoints as intersections. Can one have more lines than points in this way? This problem is known as John Conway's Thrackle Problem. A short write-up explains most of what is known about it!